Over the last century, the University of Central Arkansas has become a four-year public institution offering undergraduate, graduate and doctoral degrees. It is one of the best and most affordable options for higher education in the South. UCA offers 156 degrees and certificates, including 64 graduate degrees, and 37 online degrees and certificates for students to explore. Regardless of your interests, UCA offers programs and extracurricular activities to pursue your passions. Do you enjoy browsing a great art exhibit? The Baum Gallery is an education art museum for students, faculty, and staff, featuring local, national and international touring exhibitions. Maybe you prefer to listen to a world-class music performance? Donald W. Reynolds Performance Hall is a state-of-the-art performance hall bringing renowned dance troupes, plays, and musicians to campus. UCA housing is top rate, offering six residence halls and five apartment complexes. UCA also has 5 residential colleges that are co-education living and learning communities that provide opportunities to connect to every aspect of student life. 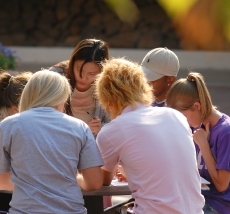 Residential college students are enrolled in the same cluster of classes to promote collaborative learning and have the added bonus of living side-by-side with UCA faculty and older mentoring students. Do you enjoy being physically active or participating in sporting events? The new HPER center located on campus features basketball courts, volleyball, badminton, an indoor track, exercise class studio, and a fitness center complete with a full slate of cardio and strength-training equipment. For the competitive type, our intramural sports give every UCA student a chance to participate in a competitive sports activity. In fact, sports play a HUGE role in the UCA experience! The University of Central Arkansas proudly participates in 18 NCAA Division I varsity sports: eight men’s sports and nine women’s sports. As a member of the Southland Conference, UCA competes against schools from Texas and Louisiana. Join the Bear Den and get involved in the excitement that is UCA sports! Are you looking for opportunities to learn outside the traditional classroom setting? UCA offers study abroad programs through many academic disciplines, service learning initiatives through the Residential Colleges and the UCA Honors College is designed to take an interdisciplinary approach to learning through small classes taught in seminar format. And this is just a glimpse of what UCA has to offer! Which leaves us thinking…Why NOT UCA!